Another double dose of NXT UK means another two hours of major action! Will The Governor, Danny Burch, be the man to dethrone The Bruiserweight, Pete Dunne? Episode 5 – Dave Mastiff VS Damien Weir; Mastiff wins. Episode 5 – El Ligero VS James Drake; Ligero wins. Episode 5 – Ashton Smith VS ??? ; No Contest. Episode 5 – Eddie Dennis VS Sid Scala; Dennis wins. 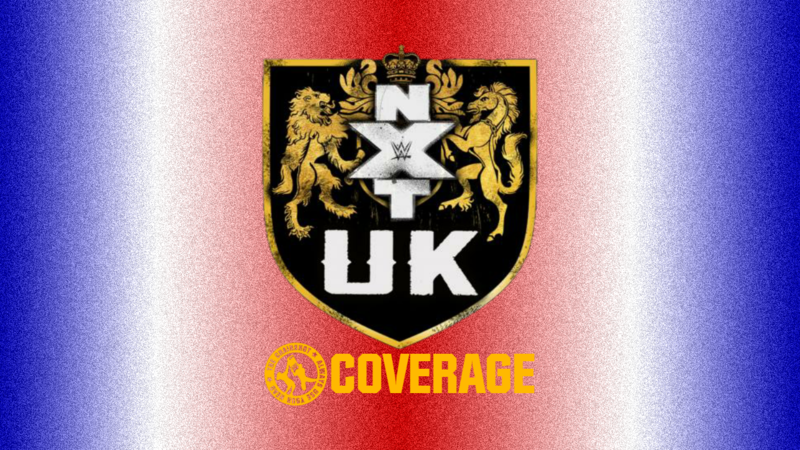 Episode 5 – WWE United Kingdom Championship: Pete Dunne VS Danny Burch; Dunne wins and retains the WWE United Kingdom Championship. Episode 6 – Dakota Kai VS Toni Storm; Storm wins. 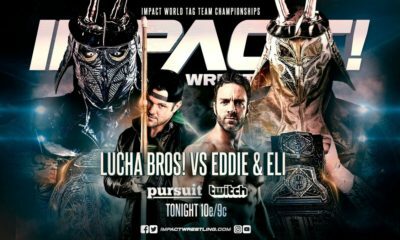 Episode 6 – Zack Gibson VS Amir Jordan; Gibson wins. 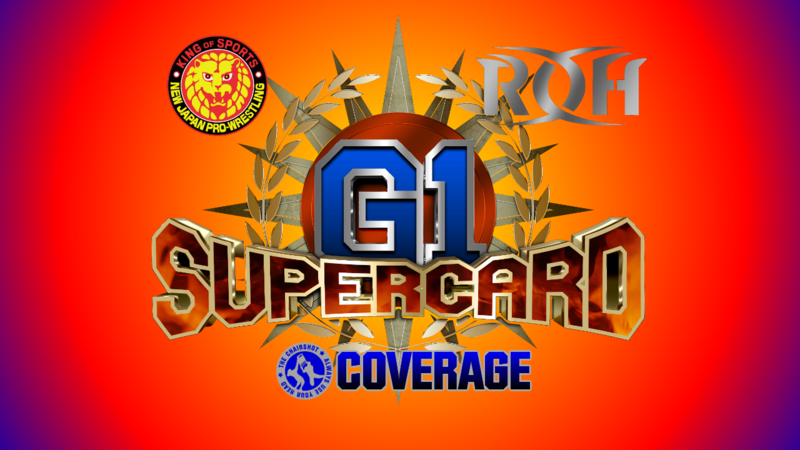 Episode 6 – Kenny Williams VS Jordan Devlin; Devlin wins. 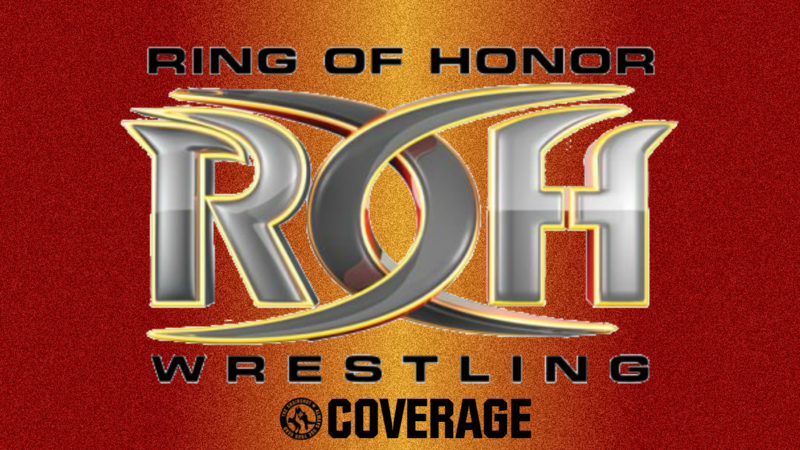 Episode 6 – Six Man Tag: Wolfgang & The Coffey Brothers VS Mark Andrews, Ashton Smith & Flash Morgan Webster; Wolfgang & The Coffey Brothers win. Dave Mastiff VS Damien Weir! The big bad Bomber is back to shake the ground, and he already has his opponent shaking in his boots. Will Mastiff leave anything left of the smaller man? The bell rings, Weir runs at Mastiff but bounces off him! Then Mastiff leaps to squash Weir with a senton! Weir writhes but Mastiff isn’t done with him. Mastiff deadlifts Weir up into a suplex, holds him up there, with one arm! Then throws him down! Fans applaud but Weir is writhing in pain again. Mastiff drags Weir to a corner with one arm, sits him up, then gives him a thumbs up. Because it’ll all be over soon. Corner to corner, Mastiff cannonball! Cover, Mastiff wins! As if there was any chance. Mastiff quite truly squashes his opponent, when will the Bomber finally be challenged? NXT UK, meet El Ligero. The Luchador from Leeds is a world-traveled hybrid, and what makes him unique is the mask itself. He wanted to stand out in UK wrestling, and now he looks to stand out in NXT UK. NXT UK, meet James Drake. Mr. Mayhem has gone around the world to become an elite pro-wrestlers. This man is completely different from just a year ago in the WWE UK Championship tournaments. He is more focused than before, and will go through anyone in front of him. Will Mayhem reign? Or will London lucha leap to another win? NXT UK, Jinny is on her way. She’s the Fashionista of Knightsbridge, and she’ll show the world that the NXT UK Women’s Division is already hers. She’s more fashionable, fierce and rich than everyone in wrestling today. Will she use all that talent, beauty and money to dominate the Women’s Division? El Ligero VS James Drake! A clash of styles to say the least, Ligero already has a win on NXT UK TV. Meanwhile, Mr. Mayhem makes his debut, will he already ruin Ligero’s win streak? The bell rings and the two men stare down before circling. They tie up and Drake pushes Ligero back. Ligero turns it around to put Drake on the ropes, but the two separate. They circle again and tie up again. Drake gets a headlock and the takeover. Ligero gets his way back up as fans chant for him. He ends up at the ropes, and Drake lets go but sucker punches low. Drake throws left hands in the corner, but Ligero hits back with rights. Ligero chops, then whips Drake. Drake reverses but Ligero goes up and over to speed things up. Ligero slides under then sends Drake forward to get him with a calf kick! Cover, ONE! Ligero keeps his cool as fans sing. Drake gets a waistlock but Ligero the standing switch. Drake switches back but Ligero elbows out. But Drake throws him to the ropes! The ropes get Ligero in the ribs and throat, but Drake throws hands all over. Fans rally for Ligero even as Drake grinds his knee into Ligero’s head. The ref backs Drake off, but only a moment as Drake grinds his foot into Ligero again. Fans jeer Drake as Ligero throws body shots back. Drake snampares and stomps Ligero down! He puts Ligero down, covers, ONE! Drake puts on a seated cobra clutch but fans rally for Ligero. Ligero endures and feeds off the energy. He gets up but Drake reels him in for a low knee. Drake whips but Ligero holds ropes. Ligero throws Drake out, but has to catch his breath. Drake is on him but Ligero gives forearms, chops and a back kick. Ligero ducks and baits Drake in, Code Red sunset flip powerbomb! Cover, TWO! Ligero keeps his cool, he has more to give. He gets Drake to a drop zone but Drake resists. Ligero kicks Drake, covers, TWO! Ligero goes back to his original plan and gets up top. Drake gets over and Ligero leaps over. Drake sweeps the legs! Then tells him to #GritYourTeeth with the dropkick! Cover, TWO!! Ligero lives and Drake grows frustrated. Fans rally up again, and Drake toys with Ligero. Drake says to grit your teeth but Ligero fires off body shots. Ligero kicks but Drake blocks to spin him around. Drake gets a facelock but Ligero spins out. Ligero swings but Drake gets him around, but Ligero back drops out! Springboard, tornado DDT! Cover, Ligero wins!! The Luchador of Leeds goes 2-0 through the same toughness that got him here! Will Ligero continue to soar all the way to a title shot? Backstage interview with Toni Storm. The Lightning Down Under has a match with the Captain of Team Kick, Dakota Kai, in the next episode. Toni wants that NXT UK Women’s Championship once it’s here, but what does that mean for her match with Dakota? Her preparations don’t change. She always fights to win. Dakota wants the title as much as Toni, but Dakota isn’t Toni. Speaking of, here comes Dakota. She respects Toni completely, but she isn’t playing around about kicking heads off to get what she wants. So as good as Toni is, Dakota vows to be a little bit better. In that case, may the best woman win. They shake hands on it, but who will be the best woman after the match? Liverpool’s Number One vows that he’ll be back next episode against Bhangra Bad Boy, Amir Jordan. Gibson wants to make something crystal clear: Jordan is a great competitor, but he is NOT going to derail Gibson, the future NXT UK Number One. Will Jordan surprise Gibson in their match? Or will Gibson keep his word? The young man from Manchester is ready to “Woop!” his opponent, but Wolfgang and the Coffey Brothers attack at the stage! This alliance of sadistic Scots assault Ashton, then toss him aside. Fans jeer as Joe, Mark and Wolfie come down the ramp together. Joe grab a mic to speak for the trio, saying “Royal Albert Hall. 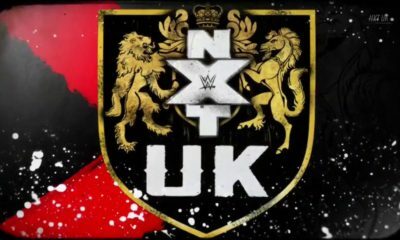 Ever since then, myself and my brother have been imposing our will on everyone and anyone.” Fans continue to jeer with “No~ one knows what you’re saying~!” Joe ignores them to say that they don’t care if the NXT UK Universe likes them, because they don’t like the NXT UK Universe! Joe reveals that at the Royal Albert Hall, he had an epiphany. He likes to surround himself with people who have the same mentality. Fans jeer with “What? What?” but Joe continues to say that whether it’s his blood or someone who takes pride in doing things their way. NXT has a heirarchy, and if you aren’t on their level, they will dispose you! No more British Strong Style! No more big strong boys! These three are true men! It doesn’t matter who likes them, because from now on, it’s a pack mentality. That means divide and conquer. That means pride and unity. Because that makes NXT UK their kingdom! Will this trio of titans take over all of the UK Division? Backstage interview with Mark Andrews and Flash Morgan Webster. The Rockstar Welshman and the Modfather wish to speak with NXT UK GM, Johnny Saint, but why? They have a problem with the Coffey boys stemming from the Royal Albert Hall assault, and now Wolfgang has joined up with Joe & Mark. Flash and Andrews want Saint to help them out with something, but Ashton Smith does, too. These three get their meeting with Saint, will they get their match with Wolfgang and the Coffey Brothers? Eddie Dennis VS Sid Scala! The Headmaster has told us these past few weeks of his storied past with Pete Dunne and Mark Andrews. He gave up his job in education to pursue his first love of pro-wrestling so that his friends wouldn’t leave him behind. But is he driven by passion? Or by bitterness? The bell rings as Dennis scowls at Scala. The two circle and Dennis kicks Scala in the stomach, then in the head. Dennis drags Scala up and whips him, but Scala hits back! Dennis shoves Scala but Scala comes back with kicks. Scala has Dennis staggering, but Dennis grabs Scala by the ear, to then rock him with a forearm! Dennis kicks Scala while he’s down, then rains down right hands. Cover, TWO! Scala is dazed but Dennis is seething. Dennis drags Scala up, whips and runs him over with a back elbow. Cover, TWO! Scala survives but Dennis is frustrated. Dennis puts Scala in a cravat and pulls on the neck. He stands Scala up for big knee strikes, then snapmares him for a leaping knee drop. Cover, TWO! Scala survives again but Dennis has had enough of him. Dennis drags Scala up, saying “I have waited a decade for this moment!” But Scala SLAPS him! Dennis actually laughs!? Scala ducks under him then slips out to the apron. Dennis hits aprons, Scala climbs up and leaps! Crossbody, cover, ONE! Dennis gets baited in again and Scala gives body shots. Scala hops up, but into a crucifix buckle bomb! Aka the Severn Bridge! Dennis dares Scala to stand, and Scala crawls over. Fans cheer Scala on, but all for naught as Dennis lift shim up, spins him around, inverted suplex driver! Cover, Dennis wins! The headmaster has turned headhunter, and he gets his debut win. Will ten years of pent up frustration fuel him all the way to the title? WWE United Kingdom Championship: Pete Dunne VS Danny Burch! The Bruiserweight has held that belt for well over a year, but The Governor has waited years for just such an opportunity as this. Will Dunne continue his reign well into two years? Or will Burch be the man to finally dethrone Dunne and become only the third-ever WWE UK Champion? Both men are in each other’s face right away, but back down to wait for the bell. The introductions are made, the belt is raised, and we begin! Fans duel as both men circle. They tie up and Dunne pushes Burch back. Burch stops that so Dunne throws Burch. Burch slips out under the mount to get a hammerlock. Dunne works his way up and under to drop toehold Burch. Burch gets to the ropes, so Dunne lets go to kick Burch in the back! Burch shrugs it off, he’s tougher than that. The two circle again, and tie up. Fans rally as Burch pushes Dunne. Burch gets around to a full nelson but Dunne breaks out, so Burch snapmares Dunne down. Burch CHOPS Dunne on the back! Dunne shrugs that off, because he’s tougher than that. They go again with a test of strength. Dunne brings Burch low, and stands on one hand to go after the other arm. He wrenches and twists from elbow to wrist to fingers! Burch screams with each on, then Dunne shifts to a hammerlock, and full arm yank! Dunne keeps on Burch by going after his other arm! Dunne twists and bends the arm while standing on Burch’s head. Fans rally as Burch throws Dunne! Burch goes after Dunne but Dunne uses the ropes for defense. Burch lets go, but gets Dunne’s sucker punch! Dunne shrugs, he doesn’t see the harm in it. Dunne goes after Burch’s left hand again, but Burch fights him in a test of strength. Burch spins around, trips Dunne up, then kicks out an arm! That’s Dunne’s trick! Burch headlocks, Dunne powers out. Things speed up, Burch catches Dunne by the foot! Burch wants a crossface but Dunne gets the ropes. Burch lets Dunne go, but then Dunne drags Burch out and twists the ankle! Then X-Plex to the apron! Fans fire up on both sides as Dunne leaves Burch down and out. Fans chant for “British Wrestling!” as Dunne walks it off. A ring count begins but Burch gets up and in at 5. Dunne is on him and goes after the arm again. He hammerlocks it to the mat, then kicks it! Burch writhes to a corner, but Dunne won’t let up. Dunne drags him up and wrings him into an arm tweaking deathlock! He even hooks Burch’s face! Dunne puts Burch’s head down to stomp it now! Burch covers up but Dunne toys with him now. Fans rally as Dunne kicks Burch to ropes. Burch gets up but Dunne keeps stomping him. Burch chops back, then chops again. Dunne keeps walking into chops! Burch spins Dunne to give him a European Uppercut! Then he runs in for another! Then a clothesline and enziguri! Burch rolls Dunne, hops up, missile dropkick! Both men are down but Burch kips right up! Burch is on Dunne, powerbomb lift, it hits! But he rolls Dunne through for a knee to the jaw! Cover, TWO!! Burch is shocked that Dunne survives, but he’s far from done with him. Burch drags Dunne up, and gives another EuroUpper. He throws a forearm but Dunne blasts him with a forearm back! Dunne whips Burch but Burchi reverses. Dunne goes up and over to enziguri! Burch is down, Dunne goes up, leaping stomp on the bad left arm! Burch rolls out but Dunne pursues, and grabs the arm. Dunne hammerlocks it, to stomp on the apron! Burch crawls away but Dunne brings him to the steps, to slam that arm down. Then stomp it, too! But Burch avoids it, to trip Dunne up, and German Suplex him to the floor! Both men are down but Cambridge fires up. Fans chant “UK! UK!” as both men writhe. Burch is up and puts Dunne in at 9. Dunne comes back for a triangle hold takedown! Burch resists, deadlifts, and buckle bombs Dunne! Both men are down again but fans still rally. Burch fires himself up while Dunne hangs halfway out. Burch drags Dunne up on the apron, and then to the top rope. He climbs up with Dunne facing backwards, but Dunne resists. Burch clubs Dunne but Dunne grabs the left hand! Shoulder breaker, then another, but Burch gives back crossfaces. Burch has Dunne, SUPER GERMAN SUPLEX! But he can’t make the cover right away. He crawls over, covers, TWO!! Dunne somehow survives, but fans love this! Both men crawl to opposite ends. They both stand up, and run in for clotheslines! Neither falls, and now each man mirrors the other in palm strikes. Dunne gets the enziguri, then the X-Plex! Into armbar!! But Burch rolls through, to a crossface! Dunne makes it a cover, TWO!! They brawl again, Burch Germans but Dunne lands on his feet! Dunne kicks, but runs into a lariat!! Cambridge is thunderous with a standing ovation for this match! Both men slowly stir, but Burch is up first. Fans hope they “Fight Forever!” but someone has to win. Burch goes over to Dunne, but Dunne has the fingers! Dunne kicks Burch in the face again and again and again. He stomps Burch out on the mat, but somehow Burch still moves. Dunne takes a moment to pose, but Burch stands right up! And headbutts Dunne! Suplex lift, draping DDT!! Cover, TWO!? Burch can’t believe it, but the fans are thunderous again. Fans sing as Burch wraps on the crossface! Dunne can barely see, but he moves around and around. He reaches for ropes, but Burch rolls him away! Dunne endures, but gets his arm free. He pries his way out, but Burch gets it back on! Dunne punches himself to ignore the pain, then goes after Burch’s face. Dunne is free, pumphandle, Bitter End! Cover, TWO!? Burch survives now, and that shocks Dunne! But fans are once again giving an ovation. Dunne reels Burch into a triangle hold, but Burch tries to make it a cover. The two struggle for control, Dunne rolls to a mount, and SNAPS the fingers! Then pulls on the wrist! Burch taps, Dunne wins! What a match! The Governor gave The Bruiserweight a run for his money, but it just wasn’t enough. Burch has nothing to be ashamed off, he pushed Dunne as far as anyone, maybe even farther. Burch stands and Dunne gives him a nod of respect. Will Burch be back for another go? Will Dunne’s reign continue to achieve new heights? NXT UK looks back to WWE Evolution. Specifically, the Mae Young Classic’s tournament finals. NXT UK’s Toni Storm went up against the Genius of the Sky, Io Shirai, and it was incredible! They went toe to toe and move for move, and to even Toni’s surprise, she won! The MYC 2018 trophy belongs to her, but that’s just the beginning for the Lightning from Down Under! And her match tonight opens the show, next! Dakota Kai VS Toni Storm! The Captain of Team Kick was in the inaugural Mae Young Classic, but she lost in the quarterfinals to the Pirate Princess. She has fought her way up the ranks, but has not captured the American NXT Women’s Championship. Therefore, she looks to start fresh in the United Kingdom Division. However, she’ll have to get through this year’s MYC winner. Can Dakota ride the Storm? Or will the Storm kick her down the road? The bell rings and fans chant for Toni as she circles with Dakota. They tie up and go around, but it’s Toni putting Dakota in a corner. Toni backs off cleanly and Dakota comes out. The fans like “Both these girls!” as they tie up again. They go around again as fans chant “Evolution!” in honor of that All Women’s PPV. Dakota gets Toni to a corner this time, and backs away cleanly, too. Toni comes out and the two shake hands to show they respect each other, but then both go for a kick! They both catch the other’s kick, and gently put the feet down. Dakota tries again but Toni ducks. Toni wants the Strong Zero but Dakota slips out. Dakota gets Toni down, double stomps! Then penalty kick! Cover, TWO! Dakota comes close but hasn’t beat the MYC 2018 champ yet. Fans chant “Aussie, Aussie, Aussie! OI OI OI!” but it’s the New Zealander who throws forearms. Toni slaps and kicks back, then runs for a boot! Cover, TWO! Toni keeps on Dakota with a snap suplex, then float over, TWO! Toni toys with Dakota, then stomps her. Dakota gets to a corner as fans continue to cheer on “Both These Girls!” Toni throws EuroUppers, and then wraps Dakota’s legs in the deathlock. Toni drops back for a modified Muda Lock meets crossface! Dakota endures and uses her arms to move around. She drags herself and Toni towards ropes, but Toni wrenches back. Dakota keeps trying, and fans rally up, and she gets the ropebreak! Toni lets Dakota go, but stomps the leg lock on the way out. Toni comes back and brings Dakota up. She throws forearms but Dakota holds the ropes. Toni kicks Dakota then whips. Dakota reverses to throw a forearm! They both throw forearms now, but then Dakota blocks to counter punch. Dakota throws more forarms, and more forearms, and then the scorpion kick! Dakota runs, but into Toni’s headbutt! Both women go down from that one, but fans fire up. Dakota drags herself to ropes while Toni clutches her neck. They both sit up at 5, and Toni throws a forearm. Dakota comes back so Toni hits her again. Fans rally for “Women’s Wrestling!” as the two women stand up and continue brawling. They go back and forth, Toni hitting but Dakota responding. Toni gets an edge, then gets running, but runs into a roundhouse! Then another! Dakota has Toni on her knees, but Toni blocks the third kick, for a trapped-leg snap German Suplex! Fans fire up again as Dakota flounders to a corner. Toni lines it up and runs in for a back elbow. Toni runs, but Dakota follows her Around the World! Dakota keeps moving, for the side to side wash, but Toni dodges just in time! Toni keeps going, but runs into a bicycle boot! Dakota runs, but her kick is countered, into another German! Toni fires up as Dakota returns to a corner, double knees! Into the Storm Zero reverse neckbreaker! Cover, Storm wins! The Storm weathers the Captain, and comes away with another victory on NXT UK TV! Both women stand, shake hands and even hug, showing there is still respect between them. There’s still time before a Women’s Champion is crowned, can Dakota make a comeback? Or will Toni ride her momentum all the way to the top? But then someone attacks Dakota on stage! It’s JINNY! The Fashionista, who lost to Toni in this year’s MYC opening round, already claims “This is my NXT UK.” She’s been hyping herself up for weeks, is it finally time for the fiercest female to make her mark? As for Dakota, Toni helps her up and to the back. Will Dakota make sure Jinny doesn’t have her way? Zack Gibson VS Amir Jordan! Liverpool’s Number One has already vowed not to let the Bhangra Bad Boy be a speed bump on his way to the top. Will Gibson come to eat his words? Or will Jordan get locked behind the Shankly Gates? The bell rings and fans taunt Gibson with “If you hate Gibson, shoes up!” Jordan and Gibson tie up and Gibson wants that hammerlock already. They get to the ropes, and Gibson slaps Jordan at the break. Gibson says to ignore the fans because Jordan’s in the biggest match of his life. Jordan and Gibson tie up again, and Gibson gets a cravat. Gibson wrenches Jordan’s neck, then shifts to a facelock. Jordan reverses but Gibson rolls to reverse and bring Jordan to the mat. Fans sing “if you hate Gibson, stand up!” Gibson brings Jordan up and rolls him to then wring out the arm. Jordan gets to his feet as Gibson eggs him on. Jordan and Gibson go again, but Gibson gets the arm back. Gibson wrenches but Jordan spins, handsprings and wrings Gibson out. Jordan eggs Gibson on with his dance moves. Gibson runs in but Jordan dodges to crossbody Gibson! Jordan keeps moving, sunset flip but Gibson stays up. Gibson gets the arm and yanks it! Gibson spins Jordan around, hammerlock DDT! Jordan clutches his arm but Gibson stays on him with forearms. Gibson has Jordan in the corner to throw more forearms. Gibson slaps Jordan around then gives another forearm. He reels Jordan in for a clothesline, but fans boo and jeer more. Fans again sing “If you hate Gibson, stand up!” Gibson lifts Jordan by his arm, then throws him in an arm lever suplex! Gibson dusts off his hands while Jordan gets to ropes. Jordan stands but Gibson is on him with forearms. Fans sing and sit back down, as Jordan fires off kicks! Jordan hops up, missile dropkick! Gibson is down but Jordan goes back up, big crossbody! Cover, TWO! Jordan keeps his focus as he runs in, but into double throat chops! And a lariat! Gibson grimaces as he drags Jordan up. Suplex, Helter Skelter! Then, Shankly Gates! Gibson pulls back, Jordan taps! Gibson doesn’t let go until he says to, and then he kicks Jordan out of the ring. Liverpool’s Number One wins again, and wants his way back to Pete Dunne’s title. Will Gibson get what he wants? Or will someone get in his way and show he’s not number one? Zack Gibson hasn’t left the ring. He paces about, then grabs a mic. Fans jeer him with new songs, but Gibson ignores them to say “I am Liverpool’s Number One!” And soon to be the World’s Number One! And soon to be recognized as the NXT UK’s Number One. Gibson stands in the ring once again victorious. 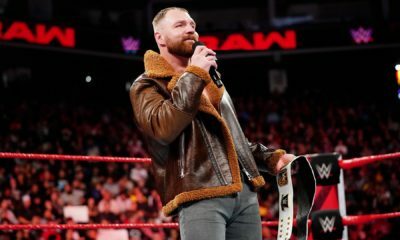 He again reminds us that he won the 2018 WWE UK Championship Tournament, and that even after all that, he still pushed Pete Dunne to his limits. And then he beat 205 Live’s Noam Dar. “Every single day that I step into this ring is another step closer to become YOUR NXT UK Champion!” Fans disagree. Gibson says “this brand, this movement” is already the benchmark in British Wrestling. Fans still sing and jeer. Seven joins Gibson in the ring now, and brings up the names Gibson mentioned. But Gibson didn’t get to Seven, so how about they get to that right here and now?! The mics are dropped and the jacket’s off, but Gibson bails out. Gibson says he’ll face Seven on his time. And to a fair point, Gibson already competed once tonight. When will Liverpool’s Number One go up against Mustache Mountain’s Number One? “The WWE Universe already met me on 205 Live”, back in the Cruiserweight Championship Tournament earlier this year. But now the NXT UK roster will find out while Kenny is the Luckyan. And the world will learn that he’s always lucky. Will luck help Kenny against Ireland’s iron man? Kenny Williams VS Jordan Devlin! The Luckyan was the Bullocks, but now he promises to be even better than that. He says he’s always lucky, but in his NXT UK debut, he’s up against a man who is always ready for a fight. Scotland and Ireland collide, who comes out not the luckier but the better? The bell rings and the two circle. They tie up, and Devlin gets the arm. Williams rolls and reverses, but Devlin gets him back down with a wristlock. Devlin grinds his knee into Williams’ face, but Williams kips up. Devlin keeps control with a headlock, but Williams rolls him off. Things speed up as each man shows their agility. Williams springboards for an arm-drag, but Devlin handsprings through. The fans applaud this even match-up as the two stare down. Williams runs in but Devlin dodges and throws him with a BIG urenage, then standing moonsault! Cover, TWO! Devlin drives his elbows into Williams’ head, and Williams gets to a corner. Devlin is on him with a chop, then stalks him to the other corner. Williams turns it around for a chop of his own. Devlin goes after eyes! The ref reprimands Devlin, but Devlin keeps on Williams with a neck wrench. Williams endures as fans rally up. Williams stands up and jawbreakers free. Both men stagger back, but Devlin runs in. Williams boots him away, then gets on the apron. Devlin’s shoulder misses but he dodges Williams’ shoulder to forearm him down! Williams stands as Devlin aims from the apron. Williams blocks the kick to trip Devlin up! Then he gets in the ring and builds speed, and he wrecks Devlin with a dropkick. Williams skins the cat and keeps moving, to DIVE! Devlin hits the ramp but Williams puts him in quick. Williams gets up top, and leaps for a big flying back elbow! Cover, TWO! Williams is shocked, but he gets back on Devlin. He brings Devlin to a corner but Devlin breaks free. Williams runs into a scoop but slips out. Devlin goes for ropes but Williams rolls him up! TWO and Williams goes to ropes. Devlin ducks the kick to roll Williams. Williams comes back, wheelbarrows, and sees it’s time for the victory roll facebuster! Roll over to a cover, TWO!! Devlin survives again, showing why he was undefeated for a year as Fight Factory Pro Wrestling’s Irish Junior Heavyweight Champion. Williams brings him back up and throws heavy forearms. Fans duel as Williams runs, but Devlin reels him back in. Williams elbows free and runs again, but Devlin stops the tilt-o-whirl to fireman’s carry, swinging driver! AKA Ireland’s Call! Cover, Devlin wins! Devlin is undefeated on NXT UK TV with a strong 2-0! Devlin carries all of Ireland on his back, who will be able to stop him? Six Man Tag: Wolfgang & The Coffey Brothers VS Mark Andrews, Ashton Smith & Flash Morgan Webster! This battle started back in Royal Albert Hall when Joe & Mark Coffey attacked Andrews, Webster and Travis Banks. Then Travis Banks goes down in an ambush attack. Andrews and Webster looked to confront the Coffey boys for that, but they didn’t expect the Last King of Scotland joining forces with them! They went after the Manchester Prestige just to make a point, so now Ashton wants to make a point of picking on the wrong guys. Can the team of speed and flight beat the team of size and strength? Or will the Scottish trio prove this is their kingdom now? The Scotsman surround the ring, just as the pack of wolves they’ve become. They each step in, but the referee keeps a fight from breaking out before the bell. The teams sort out and Flash starts with Wolfgang. Wolfgang and Flash circle as fans sing for the Modfather. Flash kicks away but Wolfgang shoves him. Flash slides under, gets a waistlock, but Wolfgang the standing switch. Wolfgang shoves Flash again, but Flash goes up and over. Flash gets to a corner and baits Wolfie in. Flashs houlders and slingshots in, but Wolfgang lifts Flash up! Firemans’ carry, trophy lift, but Flash slips out. Flash forearms, but Wolfgang shrugs it off to hit Flash back! Flash flounders to his corner, and Wolfgang dares him to tag someone else. Andrews tags in, so Joe Coffey tags in. Andrews fires off forearms but Joe catches him with heavy hands. Joe runs in but Andrews dodges to kick back. Joe knees low then snapmares Andrews, but Andrews handsprings through. Andrews runs and wheelbarrows, but ends up in Joe’s swing and facebuster! Cover, ONE, but Joe stays on Andrews. Joe wrenches an arm and tags in brother Mark Coffey. Mark hits Andrews with body shots, then forearms. Mark reels Andrews in, back suplex but Andrews slips out. Hot tag to Ashton Smith! Fans “Woop!” with Ashton’s haymakers. Mark hits back but Ashton comes back with more haymakers. Ashton whips but Mark reverses. Ashton dodges and leaps for a lariat! Cover, ONE, but Ashton’s up fast. All six men come in ready to throw hands, but the referee orders for them to back down. Fans want to “Let Them Fight!” and both sides egg the other on. Ashton talks his side down but Mark sucker punches him. Mark runs in but Ashton dodges. Ashton runs in but is put on the apron. Ashton hits Mark back, then hops up for an ax handle! He throws more hands on Mark with “Woop!” haymakers. Ashton whips Mark corner to corner but Mark reverses. Mark runs in but gets a boot. Ashton runs out but gets ax handles! Mark drags Ashton up, tags in Joe, and the Coffey boys mug Ashton. Joe throws heavy hands but Ashton hits back. Joe rocks Ashton with a big left, then drags him up. He double underhooks and swings Ashton around, “No mercy!” Then the suplex and cover, TWO! Joe keeps on Ashton with an arm wrench. Tag to Wolfgang, and the mugging continues. Wolfgang puts Ashton in a corner but Ashton hits back. Ashton leaps over, tag to Andrews! Andrews shoulders and slingshots his way in, then mule kicks and knee lifts. Wolfgang blocks the whip to whip Andrews into a corner. Andrews goes to boot back, but Wolfgang blocks that. Andrews enziguris, then hops up to leap for flying headscissors! The Coffey Brothers distract, and Wolfgang throws Andrews out. Things break down as Coffey eggs on Ashton and Flash, and Joe gets away with beating down Andrews! Flash and Ashton go back to their corner, and Andrews is fed to a cover. TWO, but Wolfgang keeps on Andrews. Tag to Mark, fans rally up but Andrews gets mugged. Andrews reaches for his corner but Mark stomps him down. Mark drops knees and wrenches Andrews’ neck. Fans rally up as Andrews endures but Mark knees him down and covers. TWO, and Andrews goes for his corner but Mark brings him around. Tag to Joe, and Joe throws more heavy hands. Joe brings Andrews out and throws forearms into the back. Joe has Andrews in a straitjacket stretch but fans rally up. Andrews gets up and pries out of the hold! But Joe spins him around to get the hold back on. Joe drives in a knee, but Andrews continues to endure. Andrews throws Joe off, but Joe runs him over with a back elbow! Joe stands on Andrews’ head, then stomps the ribs. Joe drags Andrews up, and throws him into his corner. Tag to Wolfgang, and Wolfgang rams his shoulder into Andrews’ ribs. Wolfgang taunts Andrews’ partners, but Andrews hits him back. Wolfgang rocks Andrews with a point blank knee! Cover, TWO! Wolfgang keeps on Andrews with a partial camel clutch. Fans rally up and Andrews gets up, only for Wolfgang to clothesline him down. Cover, TWO! Wolfgang brings Andrews back, Mark tags in. Joe helps keep Andrews in the corner as his brother throws hands. Mark then grounds Andrews with a facelock. Fans rally up and Andrews gets up. Andrews pushes Mark back towards the corner, but Mark forearms him back. Mark hits Ashton and swings on Flash, but Andrews comes back with forearms and chops. Mark spins him around, suplexes, but gets Stundog Millionaire! Both men are down but fans fire up. Andrews and Mark crawl for their corners, hot tags to Wolfgang and Flash! The Modfather rallies on the Scottish trio! Flash dodges Wolfgang to give body shots. Joe comes in but gets a knee trigger! Wolfgang hits Flash then whips, but Flash goes up and over. Flash keeps moving, spins Wolfgang to then springboard senton! Cover, TWO! Flash keeps going, grabbing an arm. He wrenches, but Wolfgang powers him off. Wolfgang runs into boots, tag to Ashton! Flash runs in but is tossed over and out. Ashton gets Wolfgang with a knee and then a shotgun boot! Fans fire up with Ashton, but Mark distracts him. Ashton lets Wolfgang go, and runs into the flapjack! Tag to Joe, then tag to Mark. The Coffey Brothers double wrench, double chop and double whip Ashton, to then hit the pop-up EuroUpper! Cover, TWO!! Ashton survives and shocks the Scots! Tag to Joe, and the Coffey Brothers coordinate again. Double back suplex but Ashton slips out to tag in Andrews! SUPERKICK for Mark Coffey but Joe Coffey POUNCES on Ashton! Andrews comes in, dodges Joe, enziguri! Fans rally up as Joe comse back. Tag to Wolfgang, but Andrews is ready, springboard to the tornado quebrada! Wolfgang rolls out, but Flash tags in. Andrews and Ashton build speed, to DOUBLE DIVE on the Coffey boys! Flash has Wolfgang in his sights, but runs into a BIG lariat! Wolfgang drags Flash up, powerbomb lift and he aims for the group, but Flash headscissors him out! Everyone gathers as Flash climbs, SUPER SENTON! He bowls everyone over! Flash drags Wolfgang up and into the ring to cover, TWO!! Wolfgang survives and the Modfather can’t believe it! Fans chant “Mamma Mia!” for Mauro Ranello, even though he doesn’t call NXT UK matches… Flash drags Wolfgang over to his corner, but the Coffey Brothers yank Andrews and Ashton off the apron! Wolfgang SPEARS Flash! Tag to Joe, and Wolfgang feeds Flash to Joe’s discus lariat, All the Best for the Bells! Cover, the Scotsmen win! Size and strength win, but so does sly strategy. Wolfgang and the Coffey Brothers stand tall, who will stand up to them next? What another great two episodes! Eight matches that were all really good, but boy did that WWE UK Championship tear it down! That was probably the best match all week for WWE, and will still be even with American NXT and 205 Live still to come. 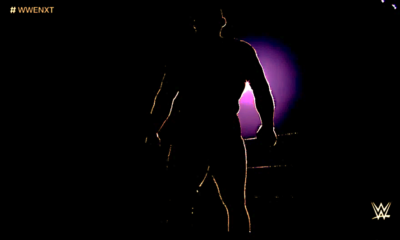 Dunne raises his power level even higher, so that whoever defeats him will have to put on a truly powerful performance. The other matches of episode five were good, but the important development in that episode is the alliance of Wolfgang & The Coffey Brothers becoming official. In episode 6, Toni VS Dakota was great, and like I said, that could end up a major NXT UK Women’s Championship match. Johnny Saint is definitely announcing the tournament for that next week, it’s the only thing it could be. Jinny makes her presence known, too, so she’ll definitely be a semifinalist in the tournament. Devlin VS Williams was a good match, and naturally Devlin wins to help build the Heel side of the midcard. Gibson VS Jordan was pretty fun, but I really like Seven getting on Gibson’s nerves. Seven VS Gibson can make for a great singles match, and if Gibson and James Drake join up as the “Grizzled Young Veterans”, they could give some great tag matches with Mustache Mountain. I’m thinking those tag titles are part of Saint’s announcement, too, so we’ll be getting more tag action as we go now. The Six Man Tag was great, too, but not quite as amazing as the UK Championship match. It works for the Heels to go over, or else this feud would be over too soon. Maybe once Travis Banks is back, he’ll join up with Andrews and Webster to give the Scottish trio a loss. The feud probably ends with the Scotsmen still going over, and then those three move on to the WWE UK and NXT UK Tag Team Championships. The one thing that might divide the Scottish trio is that Joe wants both the top title and his part in the tag titles, which locks Wolfgang out of gold.